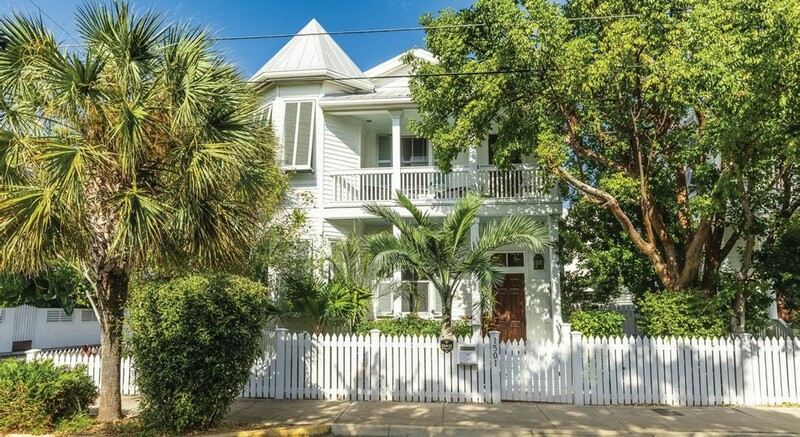 This two-bedroom, 2½-bath home occupies a corner lot in the desirable Meadows neighborhood of Key West. 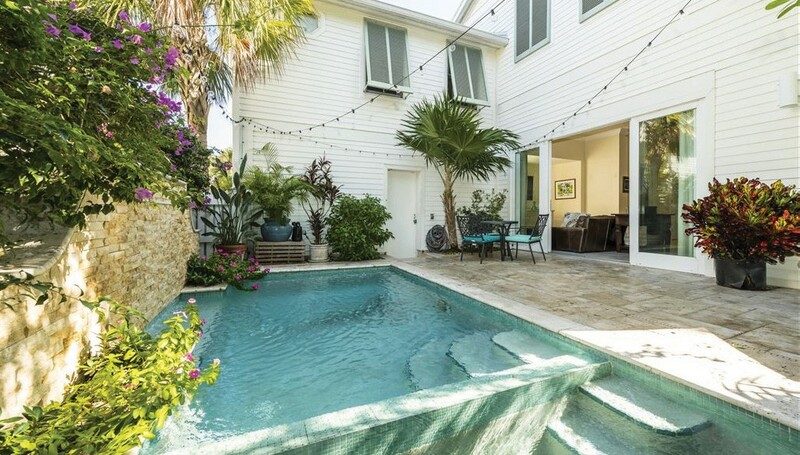 At the front door you are greeted by 11-foot ceilings and a large open living space with travertine tile flooring and 8-foot hurricane rated sliding glass doors that open to the private patio with heated pool and spa. 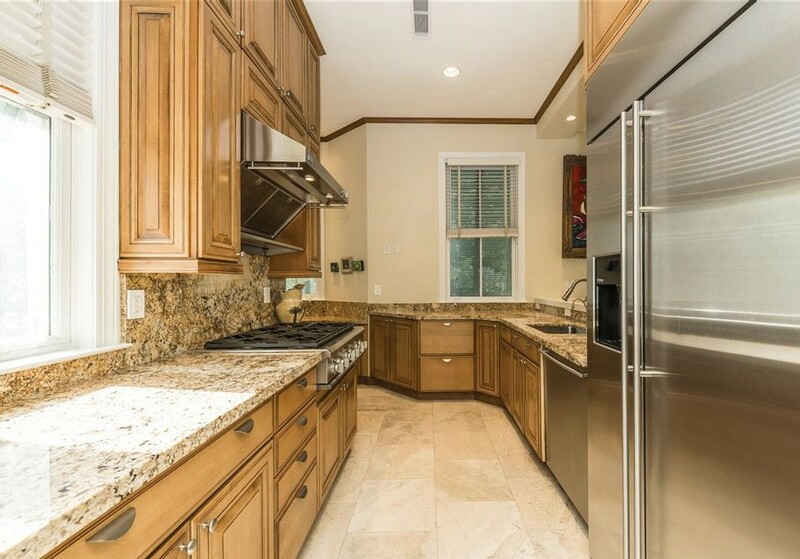 The gourmet kitchen overlooks the living room and features granite countertops and stainless steel GE Monogram appliances complete with a sixburner gas range. The second floor is where you will find both the guest and master suites. The guest bedroom has a private staircase, vaulted tray ceiling and ensuite bathroom. 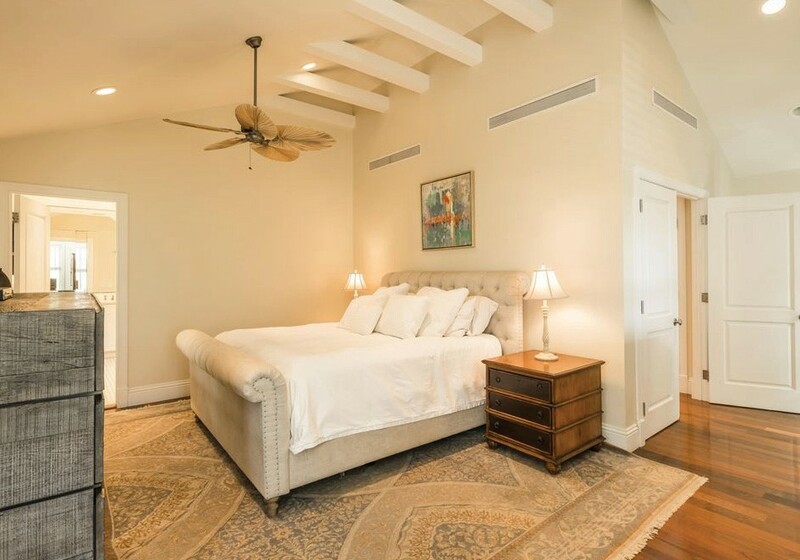 The master suite welcomes you with a private balcony, a vaulted ceiling and tons of natural light. The master bath has a Jacuzzi tub, full shower, double vanity, water closet and plenty of storage.